The tomatoes! They are getting ripe now. Thank goodness we moved the garden as they are as big as softballs (some of them). 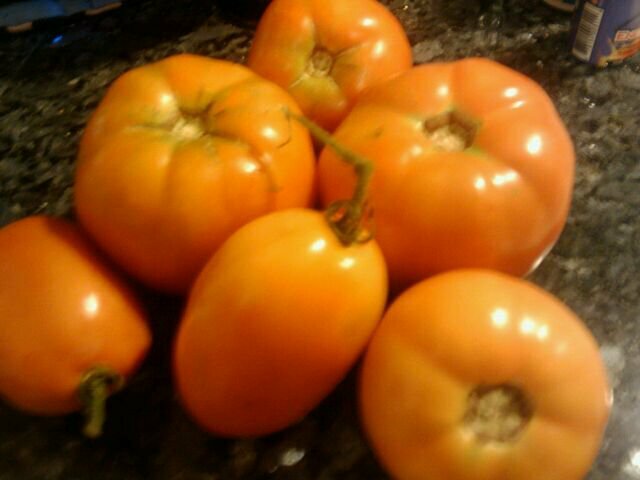 The Romas are very chunky and meaty. The color is off-these are certainly more red than orangish yellow. Sean and I were driving around the other end of the county and found a Big Lots tonight! I happen to find some Crocs for only $15 and they are comfy! 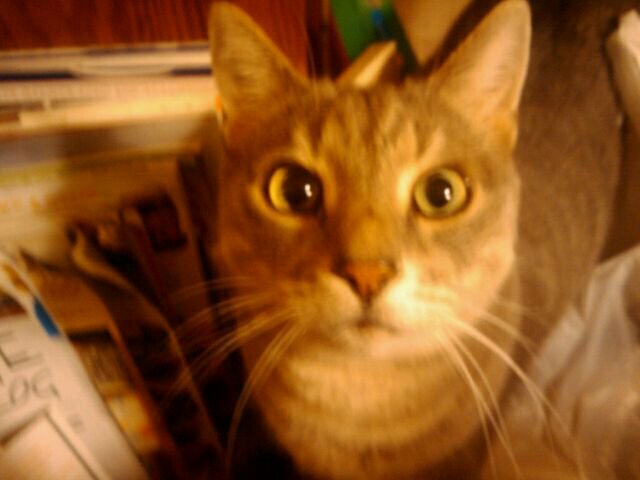 This was Cosmo wanting to get up on my lap-nothing new! I got the voucher info for the Beatlemania trip and I had to call the hotel to make arrangements. I could pick any day I wanted, so I picked a Saturday! Sean can come! He may not hear any of the bands, but how can you not even if you were standing near the gate? We can take turns anyway. He may take the Metro to DC or he could certainly go to Alexandria. The hotel looks like it has enough to it to keep anyone busy. Can’t wait! Tip from Pinterest ‘pinner’-when you get strawberries, add them to diluted vinegar (white or apple) and you can rinse them or not. Suppose to get the bacteria off them and make them last longer. I’m trying it, but I’m also making some strawberry pops today. Good find on the Crocs! I have never heard the vinegar/strawberry tip. You will have to let us know if the vinegar taste hung on the strawberries. 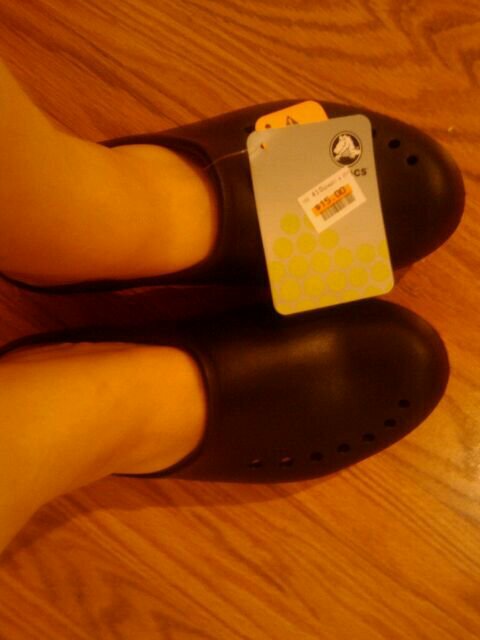 Great deal on the Crocs! I tried on a pair once but didn’t think I’d be able to get used to them. I’m forever wearing thong sandals and that’s what I’m most comfortable with.